The US launched yet another trade investigation claiming China is subsidizing their wooden cabinetry exports. In related news: Roseburg denies knowledge of illegal timber imports via a China-based company. 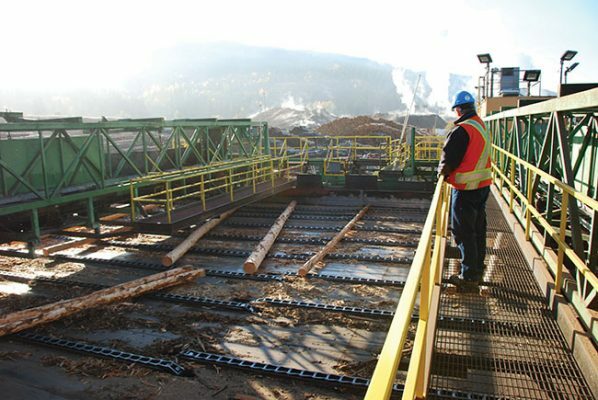 In other Business news: BC wood shipments are mixed in January; Ontario may free up wood for Fort Frances mill; Tolko upgrades its mill in Armstrong; and timber industry contributions in Oregon spur a call for campaign finance reform. In Wood Product news: Timber towers are trending in Toronto, Maine seeks a mass timber demonstration building; California Redwood’s LCA is updated; AWC applauds Utah’s support of mass timber; and Chicago’s new airport terminal will include extensive use of wood. Finally, Douglas fir beetles in Oregon, Gypsy moths in Vancouver and caribou plans near Revelstoke, BC. B.C. manufacturing shipments showed life in January with the first gain since June 2018. Factories’ sales rose 2.4% from December to a seasonally adjusted $4.66 billion. …Growth in manufacturing is expected to be mild. …Forestry needs stronger demand for housing both domestically and abroad, which is not forthcoming. …Aligning with manufacturing trends, B.C.’s forestry sector slowed in late 2018. …Sawmill manufacturing sales fell 3.3% to $7.86 billion. However, the decline was offset by stronger sales in veneer and engineered wood products (up 22%) and other wood products (up 8.6%). Total wood product manufacturing rose 3.3% to $12.6 billion. Shipments of paper products were robust with growth of 20.4% in 2018. …Factors dragging on lumber demand include subdued U.S. housing starts, deterioration in global growth, specifically in China, and reallocation of demand in some countries. Many people breathed a sigh of relief when it was announced that Paper Excellence… finalized the purchase of Catalyst Paper Corporation in Powell River. …There wasn’t the same confidence a year ago, when many were questioning its future. The threat was to jobs as well as pensions. …In July, the Pensions Benefit Standards Regulations were amended to give Catalyst a longer period to pay off its 2012 pension funding shortfall. … The changes also guaranteed that if Catalyst declared bankruptcy or sold its three BC mills, that the remainder of the 2012 outstanding obligation would be funded immediately. …If the conditions of the Pension Regulation are not met for any reason, this unconditional guarantee will become payable by Paper Excellence and its subsidiary. Amid a situation where Tsawout leadership have served their own protesting community members with injunctions, Indigenous Services Canada (ISC) announced they will send inspectors to the disputed logging site on Saturna Island. Tsawout leadership and some community members have been locked in an acrimonious stand-off over their decision to log a large portion of band land on Saturna Island. Feb. 26, Tsawout leadership secured a permit to log 33,477 cubic metres of community land co-owned by Tseycum First Nation on Saturna Island Indian Reserve No. 7. The land was split into three blocks with the expectation that once the zones were logged, the bands would receive around $2.5 million. …In a further twist, Wednesday, supporters on Saturna Island set up a GoFundMe page to raise money for the protesting community members’ legal defence fees, and raised over $15,000 in just a few hours. Tolko Armstrong in the B.C. Interior is a year into a multi-year multi-million dollar capital investment project to increase lumber values and improve recovery while reducing costs, to ensure the operation remains competitive for years to come. The project will see some of the latest sawmill technology installed, including USNR’s BioVision grading module and SiCam’s closed-loop system to automatically adjust cutting tools. …The mill site employs just over 450 people and houses a sawmill, planer mill, plywood plant, and co-generation unit. “We run every species, cut-to-length and tree-length. We’ve adapted and modified our processes so we’ll be able to accept everything,” says Jerry Epp, projects and construction manager for Tolko’s Armstrong division. “Armstrong is known as the little mill that can. VANCOUVER, BC — Conifex Timber reported 2018 year end and fourth quarter results. Selected highlights: record revenues of approximately $670 million in 2018, up approximately $200 million, or 43%, from 2017… Strong 2018 Adjusted EBITDA of approximately $40 million… Significantly expanded U.S. South footprint with commencement of commercial operations at El Dorado mill and acquisition of two additional mills adding 370 million board feet of high-value Southern Yellow Pine lumber capacity… Lumber production capacity increased approximately 50% to 1.1 billion board feet; 550 million board feet capacity in U.S. South… Overall lumber shipments totaled 875 million board feet, up approximately 30% from 2017. The provincial government won’t guarantee wood supply to Fort Frances unless a new owner is in place at the former pulp and paper mill. 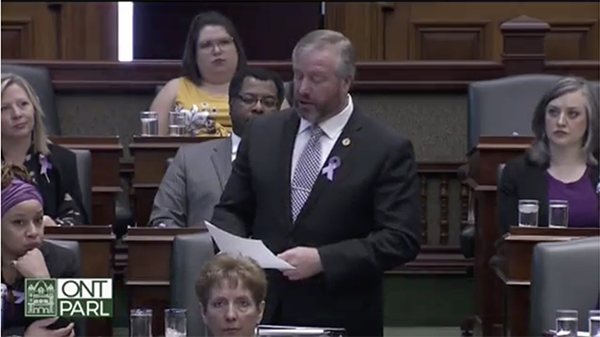 Natural Resources and Forestry Minister John Yakabuski said in the Ontario Legislature, March 26, that the availability of Crown fibre allocation will be considered for a potential operator should a property sale with Resolute Forest Products go through. “The reality is that we must wait until such time as there is a purchase for the mill in Fort Frances before we can discuss the issue of wood supply for any mill.” …“The issue in the Crossroute Forest… wood allocation …is being used in other mills,” said Yakabuski. “[If] someone is prepared to operate the Fort Frances mill, we would relook at that allocation.” Yakabuski is [speaking to] forest industry stakeholders [across Ontario] as part of a provincial review of the sector. KINGSEY FALLS, QC — Cascades Inc. announces that it will discontinue manufacturing felt backing for flooring at its Lupel plant in Trois‑Rivières, Québec. In total, 35 employees will be affected by the resulting plant closure, which is expected on or about July 1, 2019. As a result of this decision, Cascades will be permanently withdrawing from felt production for the floor covering market. “Despite efforts to increase sales levels at the plant, the drop in popularity of vinyl flooring and the gradual market shift from felt backing toward fibreglass backing has had a serious negative impact on the plant’s operations. Unfortunately, the resulting low production volumes mean that the plant is not profitable… In these circumstances, we unfortunately have little choice but to announce that the plant will cease operating,” said Luc Langevin, President and Chief Operating Officer of Cascades Specialty Products Group. Washington launched yet another trade investigation against China on Wednesday, claiming the country dumps wooden cabinetry into the US market, competing unfairly with domestic producers. The US Commerce Department said Chinese producers receive “unfair subsidies” and the products range from 177 to 262 percent below their value. If the department determines that the complaint from the American Kitchen Cabinet Alliance is valid, it could impose massive tariffs on the goods to compensate for the artificially low price. However, that decision would be reviewed by the autonomous International Trade Commission. The process could take several months to reach a final decision. We wrote in this space Feb. 1 that Oregon should set limits on campaign contributions to candidates. We still think so… The Oregonian’s series described a current system that sets no limits at all on contributions — one of only five states in the country where that is true. Corporations and industry groups in particular have taken full advantage of that. …The timber industry gave more money to winning candidates per capita, per lawmaker and in total dollars in Oregon than anywhere else. Lawmakers will say that campaign contributions don’t guarantee they will vote with the industries that bankroll their campaigns. But The Oregonian’s reporting makes a strong case that the dollars have an effect. Despite its reputation as a green state that values the environment, Oregon has weakened environmental protections. Roseburg Forest Products has been accused of “negligent sourcing” after an investigation determined some of the company’s suppliers had illegally logged okoume wood in the Congo Basin rainforest. …The Homeland Security Investigations department… is investigating whether two Pacific Northwest companies harvested okoume timber in the Republic of Congo and Gabon in Western Africa illegally in participation with a China-based company. Roseburg Forest Products is one of the major buyers from both importers. The company said… it fully supports the investigation into the allegations and “wholly denies any knowledge of or complicity with the alleged actions.” “Roseburg proactively engaged third-party experts DoubleHelix Tracking Technologies to evaluate the importers’ compliance and perform onsite, in-person audits of their supply chains. …Although the results of both audits were favorable… it appears that the audits were unable to detect the importers’ specific alleged illegal activities,” said Rebecca Taylor. ELKHART, Ind. – Remanufactured lumber and plywood maker Great Lakes Forest Products will invest $7 million to create a sister company in Bristol, Indiana, creating a potential 100 new jobs by 2022. The sister company will produce laminated wood panels for the RV industry, which is concentrated heavily in Northcentral Indiana. …The Indiana Economic Development Corporation is providing Great Lakes up to $500,000 in performance-based tax credits. The company must hire employees before receiving incentives. The town of Bristol approved more benefits. …Great Lakes began in 1989 as a wholesale lumber company that sold to the housing and industrial lumber markets. Every few months, members of the green building community get together on Toronto’s Wade Avenue for High Performance Design Meets Boots on the Ground. In not too long we will be looking at a big green building, 77 Wade Avenue, designed by Bogdan Newman Caranci. …Structurecraft in British Columbia has developed concrete composites where their dowel-laminated timber and the concrete topping work together to make a strong composite floor; 77 Wade may be similar to this. Is it more efficient than a steel deck or concrete building, when it gets this hybridized? I am not so sure, but it’s great marketing. …Everybody is competing to build the tallest wood building, but this is the kind that makes the most sense: 8 storeys is still tall for wood but not too tall for a building. …We need more of this. LEESBURG, VA. – American Wood Council (AWC) President and CEO Robert Glowinski issued a statement following the Governor’s signature on legislation to require the state’s Uniform Building Code Commission to recommend building standards for use of mass timber in residential and commercial building construction. The Utah House of Representatives passed the bill (H.B. 142) on February 12th and the Senate passed it on February 22nd. It was signed into law by Governor Herbert on March 22nd. “…The actions by the Utah Governor and State Legislature is the next step in helping jump-start mass timber construction in the state. AWC applauds Governor Herbert, Representative Casey Snider and Senator David Hinkins who sponsored the bill, and state legislators for recognizing the significant environmental benefits that accrue from greater wood product use and helping pioneer better places for us to live and work. Today, many building products boast about their environmental benefits. Relatively few, however, back up such claims with scientific evidence. For decades, the California redwood industry has supported its claims with scientific data. … The study found that the production of redwood decking (as opposed to the production of wood plastic composite and vinyl decking products, which increase carbon output into the atmosphere) absorbs carbon dioxide from the atmosphere storing or sequestering it in the wood fiber. This reduces the potential for global warming. …The study, Comparative Life Cycle Assessment of Redwood Decking, was conducted by the Consortium for Research on Renewable Industrial Material (CORRIM). …The American Wood Council, which published the initial Environmental Products Declaration for redwood decking, will use the new Life Cycle Assessment study to publish a revised EPD. CHICAGO — A team of architects led by Jeanne Gang has been chosen to design a $2.2 billion global terminal at Chicago’s O’Hare International Airport, officials announced Wednesday. Studio ORD, which includes Gang’s Studio Gang and other firms, will be in charge of designing the 2.2 million-square-foot facility. 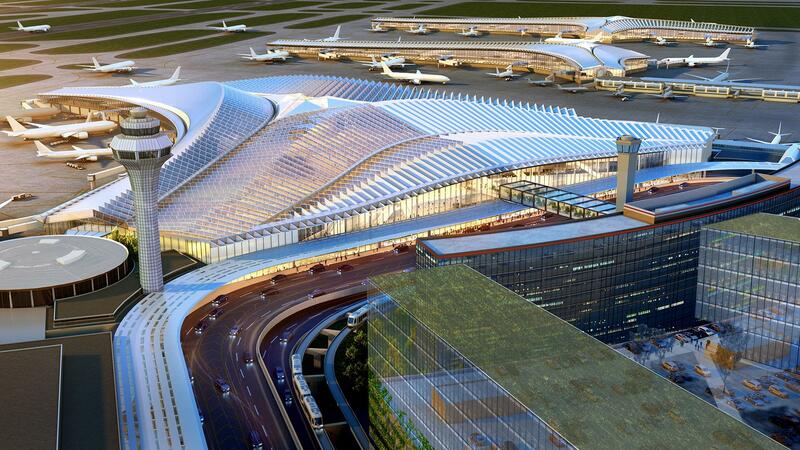 The terminal will be the centerpiece of an $8.5 billion airport expansion and modernization. The team’s design features soaring roofs, lots of inside greenery and extensive use of natural wood. “I think we’re making an incredible statement of architectural excellence that speaks not only to our architectural legacy but our architectural future,” said Mayor Rahm Emanuel. FPInnovations and its partners are proud to introduce the FastTRAC project, a forest genomics research project. To learn more about this innovative project, we invite you to take a virtual tour that will allow you to understand the production of spruce seedlings from genomic selection and the operational gains achieved as well as the research behind the innovation. This tour contains six panoramic stations (360-degree images that can be moved horizontally and vertically), 35 vignettes (tooltips), and 9 video clips. Genomic selection is the latest technology added to the suite of conventional methods for tree improvement. It provides an analysis of genomic profiles to enable determination at a young age of the future value individual trees obtained through breeding. Such analysis supports the selection of the best individuals for particular traits. A local logging company said they want to be more involved with caribou recovery plans negotiations. The Revelstoke Community Forest Corporation, which is owned by the City of Revelstoke, has a tree farm licence north of the city. The licence is 120,000 hectares in area. The caribou plans could have vast economical consequences. According Mike Copperthwaite, general manager, up to 90 per cent of their licence is technically in caribou habitat. Worst case scenario, said Copperthwaite, most of their licence would close, making it difficult to operate. Last year, the company provided the City of Revelstoke with $600,000 in dividends. And $300,000 the year prior. Of the 120,000 hectares, 8,000 has already been put aside for caribou. “We want to be a part of the solution,” said Copperthwaite. With spring comes heat, and with heat comes the return of risk of forest fires in Kelowna, as well as in the entire Okanagan. Last year, the two biggest man-made fires that were closest to the city were the fires at Yates Road on July 27, and the West Kelowna Fire at Mission Hill on May 26. “It’s about a 50 per cent mark of man-made fires every year, and it has stayed steady throughout the years,” said Rick Euper, fire and life safety educator, fire inspector with Kelowna Fire Department. “We have the FireSmart program to assist people. We do assessments of private homes, checking for fire alarms and carbon monoxide detectors, and we start seeing more assessment (requests) as spring comes in.” BC Wildfire Services said that over the past 10 years, 40 per cent of fires have been man-made. SURREY – Sixty-two hectares of residential and municipal park land in North Surrey are planned for an aerial spray beginning in early May until June 30, 2019. The aerial spraying aims to eradicate a growing population of gypsy moths and minimize the risks they pose to forests, farms, orchards and trees. The Ministry of Forests, Lands, Natural Resource Operations and Rural Development has been issued a pesticide-use permit to aerial spray and is planning up to four applications of Foray 48B over the two-month time period to control the moth. Foray 48B is used in organic farming and contains bacillus thuringiensis var kurstaki (Btk). Btk has been approved for the control of gypsy moth larvae in Canada since 1961. Btk does not harm humans, mammals, birds, fish, plants, reptiles, amphibians, bees or other insects and only affects caterpillars after they have ingested it. ROUND HILL, N.S. — Bev Wigney may be the last defence for publicly owned forests in Annapolis County. The Round Hill woman is hoping to form a group that will walk the Crown forests before decisions are made by government to harvest the trees and leave only eco-devastation. She’s a ‘ground-truther’ and through a Facebook group based in the Annapolis Royal area she has lots of friends who are willing to walk the woods with her. “The term (ground-truthing) is now used in many fields, but in this instance, it means going out to see what is actually at a site, and not just accepting what you see depicted on the various maps that display information on forest types, species, height, soil types,” Wigney said. …Wigney doesn’t know if ground-truthing will have any impact on government decision. Tree Canada, Canada’s leading national tree charity, in partnership with BioForest, are taking on the oncoming path of the emerald ash borer to protect ash trees in Nova Scotia, New Brunswick, Quebec, Ontario and Manitoba through Tree Canada’s Operation ReLeaf Emerald Ash Borer (EAB)program. The EAB program aims to empower selected municipalities, communities or organizations with TreeAzin™, a botanical insecticide with very low environmental impact that helps stop the effects of emerald ash borer infestations. The donations of TreeAzin™ are made possible through the generous support of BioForest. Applications for municipalities, communities, Indigenous communities or organizations to receive quantities of TreeAzin™ are now open and close on April 21, 2019. During question period on Tuesday, NDP Northern Development critic Michael Mantha said the Ford government must ensure access to wood supply for northern mills and forestry operations, to support the hundreds of jobs that depend on them. Mantha said the future of one mill in Fort Frances is in jeopardy, and another mill in Thessalon is cutting jobs because the Ford government is failing to allocate wood supply. “Your government controls the wood rights on crown lands. It also has the legal obligation to involve First Nation communities in meaningful consultations, but like the Liberals, this government is sitting on its hands instead of taking action,” said Mantha, MPP for Algoma-Manitoulin, during question period in the legislature.” …Mantha reminded the Ford government that in 2014 when the PCs were in opposition, they supported wood allocation to reopen the Fort Frances mill — only to reverse position now and fail to come to the table. 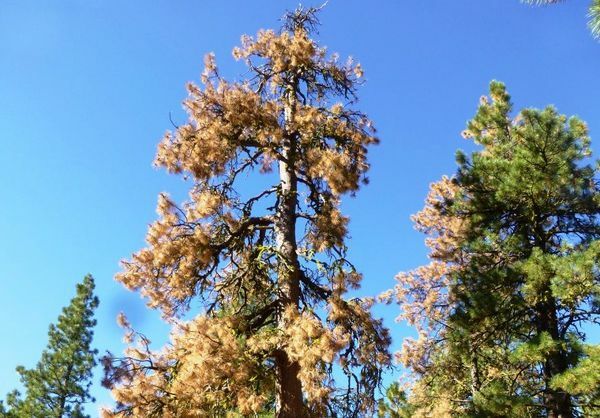 BEND, Ore. — A statewide rule that would limit the use of a weedkiller linked to thousands of dead trees outside Sisters, Oregon, won’t be in place as early as state agriculture officials had hoped, following a surprise last-minute request from the company that produces it. The Bulletin reports the state agriculture agency announced Tuesday it will reopen its public comment period on a proposed rule that reduces where and when aminocyclopyrachlor, the active ingredient in the herbicide Perspective, may be used. The comment period will close April 5. The decision was made in response to a request to delay implementation from Bayer, the pharmaceutical company that produces Perspective, two days before the new rule was set to go into place. …Bayer called on ODA to postpone the rule for 90 days, in order to give the pharmaceutical company “sufficient time to provide additional facts, data and arguments” into the public record. OREGON — The heavy snow and wind this winter have knocked down many trees across the state, setting up perfect conditions for an outbreak of Douglas-fir beetle, the Oregon Department of Forestry warns. Land owners should act quickly to either remove downed or damaged trees or apply an insect pheromone to drive away the pest, ODF’s Forest Entomologist Christine Buhl said. While the beetle (Dendroctonus pseudotsugae) is native to the Northwest, its population can soar when living large-diameter Douglas fir trees are thrown to the ground. …Tell-tale signs of this beetle’s presence include frass, a sawdust-like material the beetle ejects from underneath the tree’s bark, Buhl said. “Before April, remove any downed Douglas-firs greater than 10 inches in diameter at a point about chest height,” she advised. One firefighter was killed in the crash of a helicopter today while working on a prescribed fire in the Sam Houston National Forest about 30 miles southeast of College Station, Texas south of Highway 149. Sergeant Erik Burse with the Texas Department of Public Safety said the Eurocopter AS350 went down at about 2 p.m. with three people on board, a pilot and two firefighters. One of the firefighters was deceased on scene. The pilot and a second firefighter were transported to a hospital in stable condition after rescuers extracted them from the wreckage using jaws and air bags. The deceased firefighter was a U.S. Forest Service employee who, along with the other firefighter and the pilot, were on an aerial ignition mission. Their equipment was dropping plastic spheres that burst into flame after hitting the ground, helping to ignite the prescribed fire. No names have been released.